I taught Relief Society last week. It had been a couple of months since I've taught, being out of town and all. I felt a little rusty standing up there! I felt like my words and thoughts were choppy and broken! I was reassured by some that they got what they needed. Good! I certainly don't teach for me! I study and prepare and I so enjoy the reward of that, but the teaching I do for my sisters in the gospel. I hope so much to create a place where the Spirit can be felt and each sister can walk away feeling lifted and spiritually fed. I hope to inspire study and growth within each sister and to boldly testify of what I believe. That is always my hope. Recently I've been studying about the Priesthood. There are many facets to this topic. The overall theme even for all of these points is this: The priesthood is here, is active, has been restored to the earth for the benefit of man! The Priesthood is service, the authority of God, by which this whole plan was put together is for us! His work is to bring to pass the immortality and eternal life of man! (Moses 1:39) He executes that plan via the power of the priesthood... from the creation of this earth, to sacred ordinances, administrations... it is all for the benefit of others. 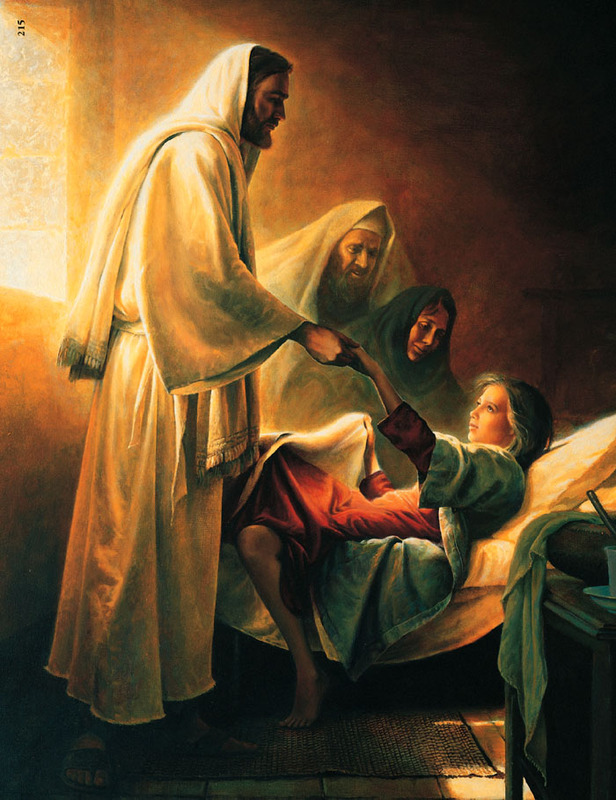 As I studied I read story after story of miraculous events, where, by the power of the priesthood, people were healed. I've witnessed miraculous events in my own life, via the power of the priesthood. 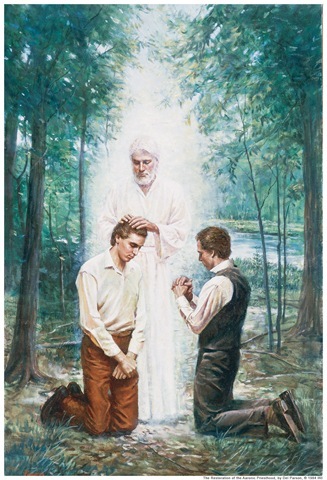 In particular the story of President Snow, healing a boy who was so close to death, got me to thinking of how bearers of the priesthood know what to pray for, how do you know if it's right to pronounce healing on someone? How do you know what to pray for, on a day to day basis? The only answer would be that you seek and know the will of God. 4 - Blessed art thou, Nephi, for those things which thou hast done; for I have beheld how thou hast with unwearyingness declared the word, which I have given unto thee, unto this people. And thou hast not feared them, and hast not sought thine own life, but hast sought my will, and to keep my commandments. 5 - And now, because thou hast done this with such unwearyingness, behold, I will bless thee forever; and I will make thee mighty in word and in deed, in faith and in works; yea, even that all things shall be done unto thee according to thy word, for thou shalt not ask that which is contrary to my will. "When we pray unto the Father in the name of Jesus for specific personal things, we should feel in the very depths of our souls that we are willing to subject out petitions to the will of our Father in heaven... The time will come when we shall know the will of God before we ask. Then everything for which we pray will be 'expedient.' Everything for which we ask will be 'right'. That will be when as a result of righteous living we shall so enjoy the companionship of the spirit that he will dictate what we ask." Yes, I believe that is how we know. Does this principle only apply to the administering via the priesthood? Nope! This principle applies to me, everyday and specifically when I have hard questions that I need answers to. As I live righteously I will know the will of the Lord and via the spirit I will know what to ask, and I will know the will of our Father. Where in all the world can you find a class of ministers that dare take the position our Elders do? Where is the man or the set of men that can be found that dare to present themselves before the world and say that they have been authorized of God to administer certain ordinances to the people through which they may receive revelation from God? Any one announcing a doctrine of this kind would soon be found out if he was an impostor—he would place himself in a very dangerous position, and would soon be discovered if he held no such authority. Our Elders, however, dare take this position. … God has sent his holy angels from heaven and restored the authority to man to administer the ordinance[s] of the gospel. Any man who will humble himself before God and will be immersed in water, after repentance, for the remission of his sins, shall receive, through the laying on of hands, the gift of the Holy Ghost. Can I give this to him? No, I, simply as a messenger of the Almighty to whom has been delegated authority, administer immersion for the remission of sins; I simply immerse him in water, having authority so to do. I simply lay my hands upon him for the reception of the Holy Ghost, then God, from his presence, acknowledges my authority, acknowledges that I am his messenger, and confers the Holy Ghost upon the individual. Have you thought about the difference in terms: 'in the name of' vs. 'by the authority of...'? Last is 'the spirit of the priesthood'. My lessons are presented to the women of the church, we don't hold the priesthood, but so much of the priesthood applies to us. Section 121 of the D&C is often referred to as the 'spirit of the priesthood'. It doesn't talk about the organization or offices, it talks about the manner of men who hold this power. 34 - Behold, there are many called, but few are chosen. And why are they not chosen? 36 - That the rights of the priesthood are inseparably connected with the powers of heaven, and that the powers of heaven cannot be controlled nor handled only upon the principles of righteousness. 37 - That they may be conferred upon us, it is true; but when we undertake to cover our sins, or to gratify our pride, our vain ambition, or to exercise control or dominion or compulsion upon the souls of the children of men, in any degree of unrighteousness, behold, the heavens withdraw themselves; the Spirit of the Lord is grieved; and when it is withdrawn, Amen to the priesthood or the authority of that man. This is a sacred power, not to be taken lightly, but reverently. Even though I don't hold the priesthood I try to live by the spirit of the priesthood. I'm by no means perfect, and have to ask forgiveness time and again. We all do. But, I hope to transform into this person. I'm closer today than I was years ago. That gives me hope. The Lord has said that He will give us all that He hath—and this according to the oath and covenant which belongs to the Priesthood [see D&C 84:33–44]. Nobody ought to doubt what Jesus says, and He declares, as recorded in the Revelations of St. John, “To him that overcometh will I grant to sit with me in my throne, even as I also overcame, and am set down with my Father in His throne.” [Revelation 3:21.] Can anything be said greater than that? Does not that comprehend everything?